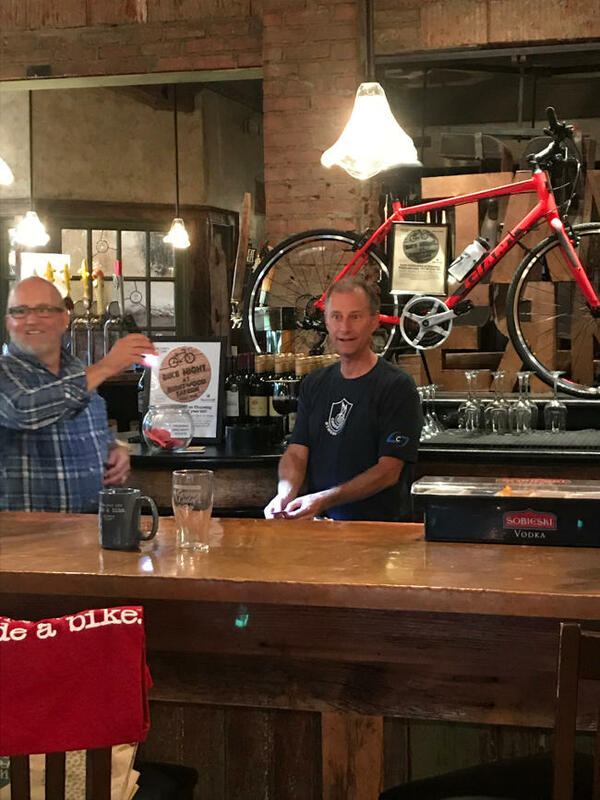 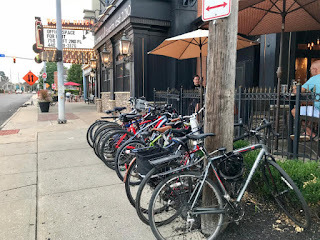 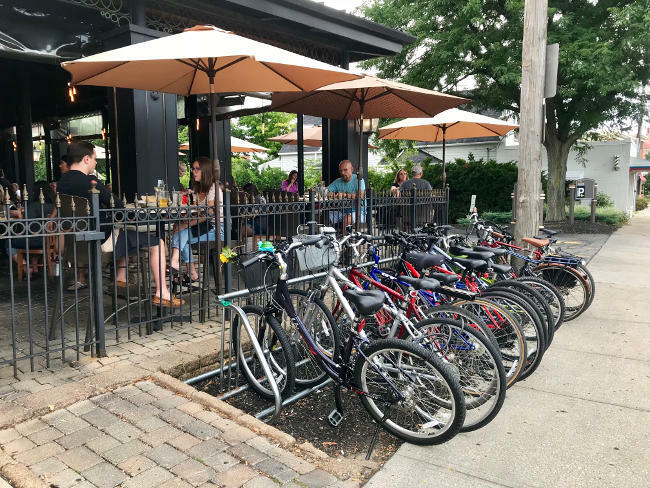 Thanks to everyone who came to Bike Night at the Burntwood Tavern of Rocky River in 2018, especially those who gave us a great turnout for the Finale Party on August 9! Burntwood Manager John Burkhart helped Century Cycles Owner Scott Cowan draw tickets for the door prizes. 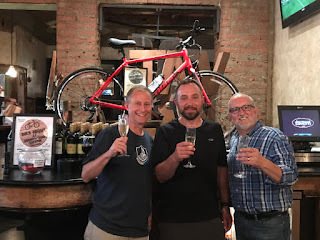 Congratulations to Erik Mowery (below, center), the winner of the Giant Bicycles Escape 3 hybrid bike!